Karen C. Hermann: Mergers & Acquisitions/IP Transactions & Portfolio Management Lawyer: Washington, D.C.
Karen C. Hermann is a partner in the firm's Washington, D.C. office. Her practice focuses on mergers and acquisitions, carve-out transactions, joint ventures and strategic alliances. In addition, Karen's practice includes a wide range of intellectual property and commercial contract transactions, including license agreements, technology development agreements, reseller and distribution agreements and outsourcing and services agreements. Karen's clients span across a wide range of industries, with a particular emphasis on defense contractors, software vendors, service providers, healthcare companies, financial services companies, and startup and emerging businesses. Karen represents technology companies, aerospace and defense companies, government contractors and healthcare companies in connection with mergers and acquisitions. Karen provides strategic advice on deal structuring for both buy-side and sell-side deals. She provides practical advice on everything from data room setup to integration of the acquired company. In carve-out transactions, Karen counsels clients in connection with identifying intellectual property and information technology assets to be divested and advising clients on commercial agreements that may be necessary for the divested business to continue operations. Karen also represents clients in strategic alliances and joint ventures, advising on matters such as entity formation, ownership structure, revenue sharing, corporate governance, intellectual property ownership and use, exclusivity provisions, staffing approaches and exit strategies. She also prepares and negotiates teaming agreements and contractual joint venture agreements. Karen negotiates a variety of intellectual property agreements, including patent, know-how, trademarks, copyright, and software licensing arrangements; technology and know-how transfers; manufacturing agreements, data rights and data protection agreements, and collaborative research agreements involving private parties, universities, and research institutions. She also conducts intellectual property due diligence and counsels clients on strategies for protecting and deriving value from intellectual property assets. Karen represents clients in connection with outsourcing arrangements, on both the customer and vendor side. She is adept at drafting and negotiating service level agreements by understanding the customer's needs and the vendor's capabilities. Her practice also includes drafting and negotiating commercial contracts, ranging from purchase order terms and conditions to employee leasing arrangements. Represented Accenture Federal Services in its acquisition of Agilex Technologies, Inc., a provider of digital solutions for the U.S. federal government. Represented Goldman Sachs in connection with the spin-off of its REDI business (a software-based execution management system business), specifically, Karen provided strategic advice with respect to the carve-out of the intellectual property and information technology assets and prepared and negotiated software and patent licenses for retained assets and an assignment and license-back for the divested intellectual property. Represented a defense contractor in its carve-out and sale of two business units, including preparing and negotiating a series of supply, services and intellectual property licenses to support the client's future operations without the divested assets. Represented BAE Systems in its $295,000,000 acquisition of SpecTal, LLC, Advanced Concepts, Inc. and McClendon LLC from L-1 Identity Solutions and in its acquisition of Signal Innovations Group. Represented PA Consulting Group in connection with its sale of its U.S. based government contracting and international development consulting business. Represented ICAP in negotiating a strategic alliance with institutional banks for the provision of an electronic broking platform for e-credit products. Represented Saab AB in its joint venture with DigitalGlobe, Inc. and in the sale and divestment of its shares in C3 Technologies AB, a 3D mapping company and provided strategic advice with respect to the license-back to Saab AB of certain of the disposed intellectual property. Represented a healthcare company in connection with its in-licensing and implementation of a claims management system and negotiating a maintenance and service level agreement. Represented a retail brand in connection with its outsourcing of its website development and hosting, order fulfillment, internet and email advertising campaigns and development of a mobile app. Represented FX Spotstream LLC in negotiating and implementing an outsourcing arrangement to outsource all information technology aspects of the joint venture's business operations, specifically, the development, hosting and operation of a multi-bank liquidity aggregation service for foreign exchange products. Represented a retail brand in connection with its in-licensing of a major girls' and women's clothing and accessories brand for all international markets. Represented Traiana in connection with a license and outsourcing arrangement to provide pre-booking aggregation of foreign exchange trades services to a consortium of international banks. Represented ICAP in the negotiation of a series of co-location agreements, software license agreements, and outsourcing arrangements. Karen is active in the firm's pro bono work, and she particularly focuses on representing clients in affirmative and defensive asylum proceedings. She successfully represented a lesbian woman from Cameroon and a Pakistani woman who was fleeing domestic violence at the hands of her husband, a high-ranking government official. Karen co-led a team of Crowell & Moring attorneys who, along with Legal Counsel for the Elderly, worked with the D.C. City Council to adopt significant reforms to the District of Columbia's tax sale liens. Karen also provides corporate and intellectual property advice to a number of the firm's pro bono clients, including representation of the Whitman-Walker Clinic when it sold its assets and rights in the Capital Pride Parade. Karen received a B.A. in English from Fontbonne College in 1996 and earned a J.D. with honors from George Washington University Law School in 1999. During law school, she served as the executive managing editor of the American Intellectual Property Law Association Quarterly Journal. Prior to joining Crowell & Moring, Karen clerked for the Honorable Lawrence S. Margolis, Senior Judge on the U.S. Court of Federal Claims in Washington, D.C.
Karen is a member of the bars of the Commonwealth of Virginia and the District of Columbia and is admitted to practice before the U.S. Court of Federal Claims. She is also a member of the ABA's Business and Intellectual Property Law sections. Karen was selected for the 2015 Fellows Program of the Leadership Council on Legal Diversity (LCLD), a national organization comprised of the legal profession's top general counsels and managing partners. "The Unique World of Governmental Intellectual Property: Who Has Rights to What?" Government Contracts "101" - Back to Basics, Washington, D.C. (October 10, 2018). Presenters: Karen C. Hermann, John E. McCarthy, Jr., and Jonathan M. Baker. "Government Contract Commercial Terms and Terminations," Client Training, Washington, D.C. (June 12, 2018). Presenters: Karen Hermann, Chris Haile, and Skye Mathieson. 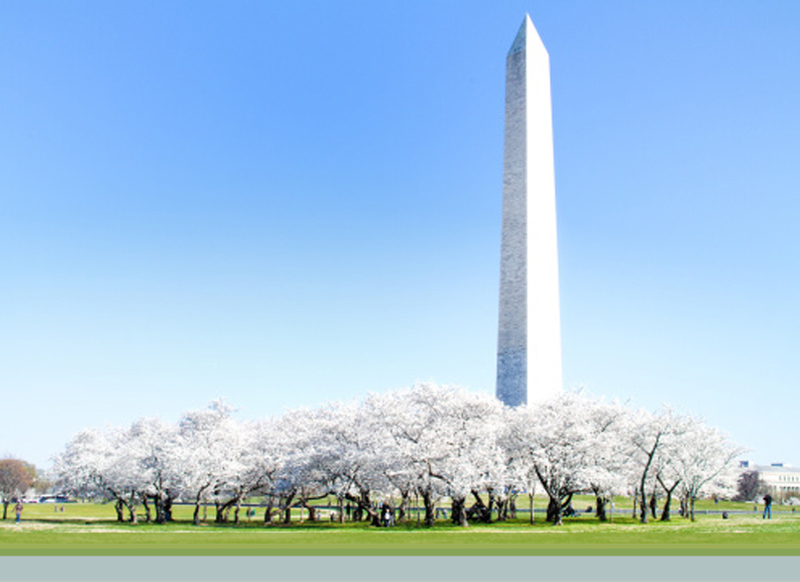 "Looking Back and Forward - 2017 M&A Highlights and Trends to Watch," OOPS 2018, Crowell & Moring's 34th Annual Ounce of Prevention Seminar, Washington, D.C. (May 17, 2018). Presenters: James R. Stuart, III, Karen C. Hermann, and Judy Choi. "What Will the New Year Bring: Top Headlines, Headaches, and Developments for Government Contractors to Watch in 2018," Crowell & Moring Webinar (January 25, 2018). Presenters: Crowell & Moring Government Contracts Group. "The Unique World of Governmental Intellectual Property: Who Has Rights to What," Government Contracts "101" - Back to Basics, Washington, D.C. (October 26, 2017). Presenters: Karen C. Hermann, John E. McCarthy, Jr. and Jonathan M. Baker. "Drafting Workshop – Indemnity, Reps and Warranties, Termination, Damages," 2017 Advanced Contracts Conference – National Capital Region, McLean, VA (July 18, 2017). Presenters: Karen C. Hermann and Bryan Brewer. "The Shifting Sands of Government IP," OOPS 2017, Crowell & Moring's 33rd Annual Ounce of Prevention Seminar, Washington, D.C. (May 4, 2017). Presenters: John E. McCarthy Jr., Karen C. Hermann, and Jonathan M. Baker. "Contracting in the Dark World: Special Considerations for Classified Contracting," OOPS 2016, Crowell & Moring's 32nd Annual Ounce of Prevention Seminar, Washington, D.C. (May 25-26, 2016). Moderator: Karen C. Hermann; Panelists: Mark A. Ries and Michelle Sutphin. "Best Practices for Structuring an M&A or Investment Transaction," WOOPS 2016, Crowell & Moring's 32nd Annual West Coast Ounce of Prevention Seminar, Marina del Rey, CA (May 18, 2016). Moderator: Karen C. Hermann; Panelists: Amy Laderberg O'Sullivan and Joelle Sires. "For Sale By Owner: Seizing Opportunities in a Seller's Market," OOPS 2015, Crowell & Moring's 31st Annual Ounce of Prevention Seminar, Washington, D.C. (May 5-6, 2015). Moderator: Karen C. Hermann; Panelists: Bryan Brewer and Peter Eyre. "What Will the New Year Bring: Mergers, Acquisitions, and Transactions," Crowell & Moring Webinar (January 7, 2015). Presenters: Bryan Brewer and Karen C. Hermann. "Business Within the Lines: Structuring Teams and Joint Ventures with Small Businesses to Compete Effectively for Government Contracts," Crowell & Moring Seminar, Washington, D.C. (November 4, 2014). Panelists: Karen C. Hermann, John E. McCarthy Jr., and Amy Laderberg O'Sullivan. "Mergers & Acquisitions - Special Considerations Involving Government Contracts," Federal Publications Seminars (March 18, 2014). Presenters: Peter Eyre, Karen C. Hermann, and Rachel Raphael. "Emerging M&A Trends in the Current Market: How Sequestration and Other Industry Factors are Shaping the Way Deals are Done – or Not," OOPS 2013, Crowell & Moring's 29th Annual Ounce of Prevention Seminar, Washington, D.C. (May 15-16, 2013). Moderator: Morris F. DeFeo Jr.; Presenters: Kelly G. Howard and Karen C. Hermann. "Don't Sign that Yet!" Workshop 2, Crowell & Moring, Washington, D.C. (March 5, 2013). Presenters: Kathryn D. Kirmayer, Kathleen Balderrama, Bryan Brewer, Karen C. Hermann, and Jessica Thompson. "Don't Sign that Yet!" Workshop 1, Crowell & Moring, Washington, D.C. (November 15, 2012). Presenters: Kathryn D. Kirmayer, Kathleen Balderrama, Bryan Brewer, and Karen C. Hermann. "Key M&A Considerations for Government Contractors Overcoming Hurdles to a Successful Closing," Ounce of Prevention Seminar (OOPS) XXVII (May 25-26, 2011). Moderator: Marc F. Efron. Speakers: Bryan Brewer and Karen Hermann. "Bankruptcy and Intellectual Property," Virginia State Bar's 21st Annual Intellectual Property Fall CLE (October 3, 2009). Co-Speakers: Matthew W. Cheney and Karen Hermann. "The New Government Contracting Essentials," Crowell & Moring Seminar: Navigating the New Government Contracting Regime in Today's Economy, Vienna, VA (June 11, 2009). Moderator: Angela B. Styles, Panel: Shauna E. Alonge, Amy Laderberg O'Sullivan, and Karen C. Hermann. "Anatomy of an IP License" - Jersey City, NJ (August 17, 2007). Speaker: Karen C. Hermann. "Seeking Asylum: LGBT Rights as International Human Rights" - Burlington, VT (October 20, 2006). Speaker: Karen C. Hermann. "Data, Data Everywhere: Avoiding Legal Pitfalls in the Management of Your Electronic Health Information," Crowell & Moring Healthcare Ounce of Prevention Seminar (October 22, 2004). Speaker: Karen C. Hermann. "Creating and Receiving Value for Your Secrets," Trade Secrets Law Seminar - Washington, DC (October 2004). Speaker: Karen C. Hermann. "Reps and Warranties Insurance Key in Gov't Contractor M&A," Law360 (September 3, 2015). Authors: Peter J. Eyre, Karen C. Hermann, and Rachel Raphael. "Representations and Warranty Insurance: A Key Component of Mergers & Acquisitions Involving Government Contractors," ABA Annual Meeting Section of Public Contract Law (July 30, 2015). Authors: Peter Eyre, Karen C. Hermann, and Rachel Raphael. "Introducing Crowell & Moring’s Compliance “Check-Up” for Government Contractors," Government Contracts Bullet Points (March 6, 2018). Contacts: David B. Robbins, Stephen J. McBrady, Peter Eyre, Adelicia R. Cliffe, Karen C. Hermann, Richard B. Holbrook Jr.